Hair that’s dull, limp, and falling flat? Or perhaps hair fall is leaving lesser, thinner hair on your scalp? Here is a home remedy for thick hair that will help you come back from lifeless hair, and get that boost of bounce and volume. For this, nature offers a solution by means of your breakfast cereal. 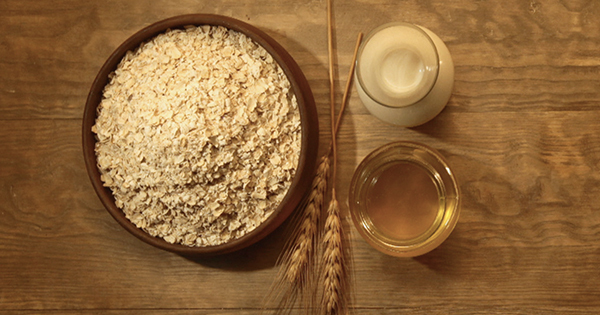 Oats contain lipids that makes it the hero ingredient of your home made remedy for your thick hair. Top it with milk, which is rich in proteins to give your hair a boost. It moisturizes your hair and adds luster without weighing it down. The thick consistency of castor oil binds the other two ingredients together for easy application, making it one of the best home remedies for thick hair. Procedure: Mix 3 tbsp oats and 3 tbsp castor oil with 3 tbsp milk. Instructions: Apply and leave in for 30 minutes, then rinse your hair with a shampoo.